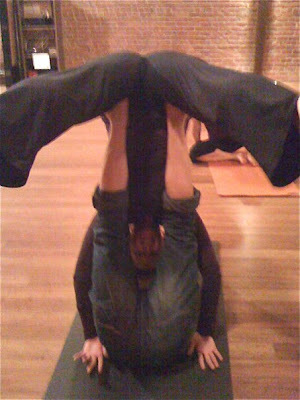 Hello AcroYoga- I think I'm in love! Cliff doesn't know what he's in for! I always loved playing airplane as a kid and nothing has changed. Isn't it funny that the stuff we love when we are little sort of sticks. Well, except for bedtimes!